I’m excited today to announce the launch of my latest book "CRAVE: You Can Enhance Employee Motivation in 10 Minutes by Friday™." You might be wondering what drove me to write "CRAVE." After all, aren’t there plenty of books out there on making businesses better? Well yes, but after spending just over 15 years consulting leaders on what it takes to make real, sustainable culture transformation happen within their organisations, I realised that though billions of dollars are being spent to move the needle on employee engagement, we have yet to make a significant impact on improving employee engagement. There’s an opportunity here that exists in front of just about all businesses — a better way to engage employees and get the business results from it. 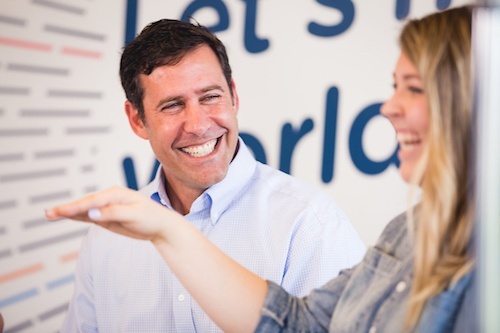 And as the President of Employee Engagement here at Reward Gateway, I believe that every single employee impacts our culture, the customer experience and, ultimately, our profitability. And that opportunity lies in giving humans, especially at work, what they CRAVE to help them become happier, more motivated and more productive. Purpose: Show me how what I do has purpose, makes a difference, and is relevant to the organisation. Relationship: Help me build stronger connections with people, especially my immediate manager/supervisor. Decade after decade, researchers and scientists have been highlighting what causes people to be more motivated and committed at work... and decade after decade, businesses continue to NOT use these findings in ways that create better, more productive workplaces. When you focus on engaging and motivating your employees and making your world — no matter how big or small it might be, or what in industry you’re in — a better place to work, we all win. Employees, managers, customers, owners — and the business itself. 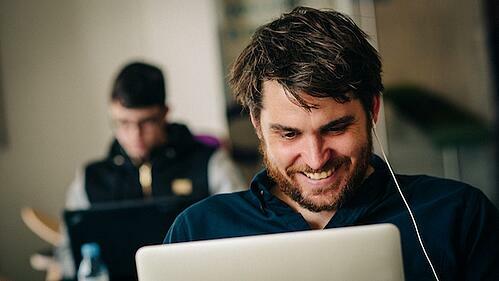 We’ve seen the results in our own client base, where they’ve witnessed an incredibly high engagement rate of 91%, compared to the national average of 33%. And that work doesn’t have to be all that difficult. If you can spare 10 minutes, you can enhance employee motivation. Because if your employees are not getting what they CRAVE at work, it is nearly impossible to optimise motivation, happiness and ultimately productivity. In the book, I guide supervisors, managers and executives on how to create the environment where three psychological needs (Respect, Purpose and Relationship) are fulfilled... leading to significant improvements in employee motivation and engagement, and ultimately, accelerated business results. Here’s the thing. We, as humans, love recognition, but we struggle to give enough of it. Whether we want to admit it or not, recognition plays a huge role in our everyday work lives— in our happiness, wellbeing, and working relationships. Learning how to strategically recognise employees is the most effective and efficient way to give people what they CRAVE. Doing so leads to accelerated improvements in employee engagement and the work culture, which together inspire a more consistent customer experience. With the addition of my latest book, CRAVE (you can see the others I’ve written on Amazon, too), I’m proud to hopefully add to your employee engagement toolkit with the rest of our RG authors, and to satisfy your own craving to make the world a better place to work. 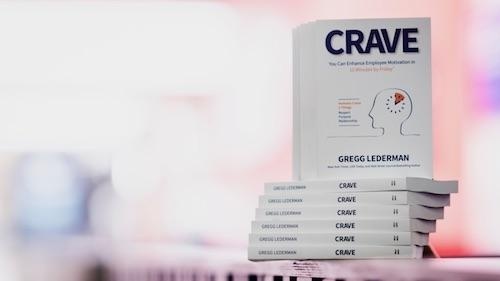 You can find "CRAVE: You Can Enhance Employee Motivation in 10 Minutes by Friday™" on Amazon, or follow Reward Gateway on LinkedIn to see if you can win a free copy.